Want to convert your Samsung Galaxy S7 or S7 Edge into Galaxy S8? If you have an Exynos version of Galaxy S7 or S7 Edge, you are in luck as there’s a custom ROM that gives you all of that including Galaxy S8 camera and all of S8 software features. Of course, this will require you to do some work but once it is done, you will have a flawless Galaxy S8 without actually buying one. For full instructions, check out Galaxy S8 ROM on Galaxy S7 or S7 Edge! Also check out Galaxy S8 conversion on Galaxy Note 5! Thanks for the tips! keep the awesome work! I love your videos. I have a rooted sm-g935fd s7 edge marshmallow 6.0.1 running on king rom s7 edge v14..do i have to unroot my device and update it to nougat before i can install the s8 khonglei rom? 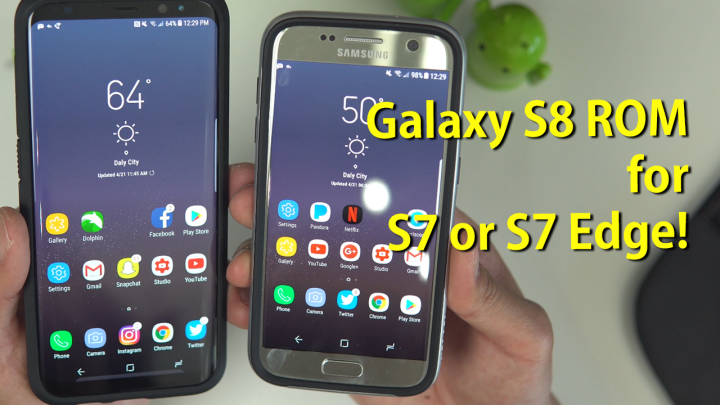 Previous story Galaxy S8 or S8 Plus – Stuff you MUST DO After Buying!